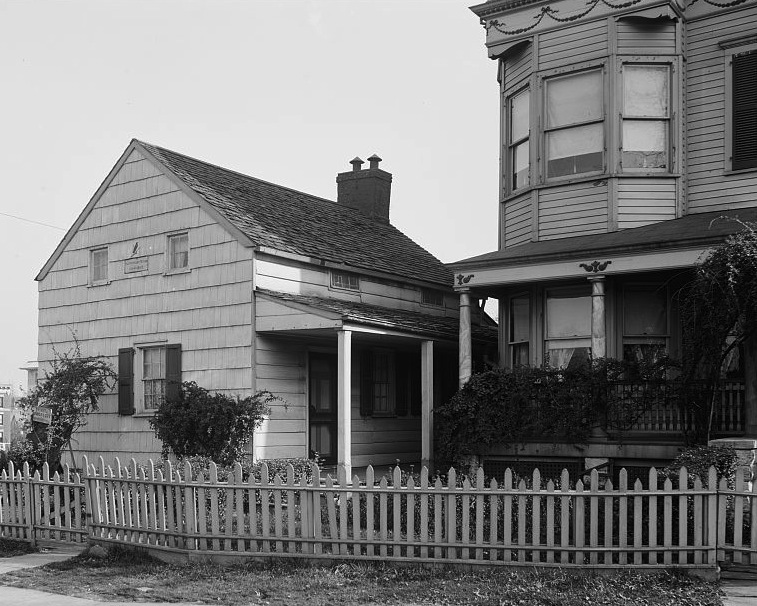 Edward Hagaman Hall was the secretary of the American Scenic and Historic Preservation Society from 1897-1927 and was involved in the efforts to save the Poe Cottage and the Billopp House. His efforts in preservation can be attributed in large part to the City Beautiful movement in the early 1900s. Along with Albert S. Bard, Hall was pivotal in the nascent efforts to pass legislation monitoring the aesthetic fabric in New York City. Of prime importance was the regulation of billboard advertisements on Fifth Avenue. Over the course of his life, Edward Hagaman Hall advanced preservation efforts on the city, state and national level. ”Dr. Edward H. Hall Dead at Laramie,” The New York Times, 5 May 1936. Edith Pilcher, “Watchdog of the Forest Preserve,” Conservationist Magazine, January-February 1984. Anthony C. Wood, Preserving New York: Winning the Right to Protect A City’s Landmarks (New York: Routledge, 2008), page 29. ”Obituary,” New York Times, May 6, 1936. ”To Move Poe’s Cottage,” Times, 12 January 1908; As quoted in Gregory F. Gilmartin, Shaping the City: New York and the Municipal Art Society (New York: Clarkson Potter, 1994), page 334. ”New York’s Historic Landmarks: Shall they be Allowed to Pass Away?” The New York Times, 28 January 1906. Gregory F. Gilmartin, Shaping the City: New York and the Municipal Art Society (New York: Clarkson Potter, 1994), page 251. Edward H. Hall, “Jamestown: Proposal that it be Made a National Park- The Birthplace of Our Civilization,” The New York Times, 22 February 1902. Edward H. Hall, Appeal for the Preservation of City Hall Park, New York: With a Brief History of the Park (American Scenic and Historic Preservation Society, 1910). ”Fraunces Tavern Park,” The New York Times, 5 December 1902.